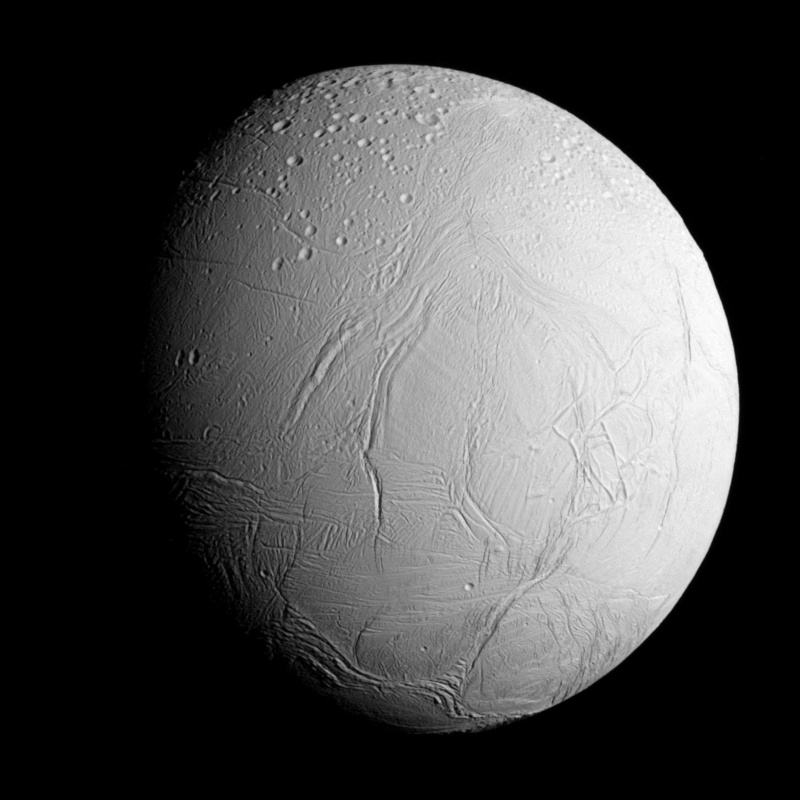 Oct 30, 2015: Enceladus Up-Close - During its closest ever dive past the active south polar region of Saturn's moon Enceladus, NASA's Cassini spacecraft quickly shuttered its imaging cameras to capture glimpses of the fast moving terrain below. This view has been processed to remove slight smearing present in the original, unprocessed image that was caused by the spacecraft's fast motion. 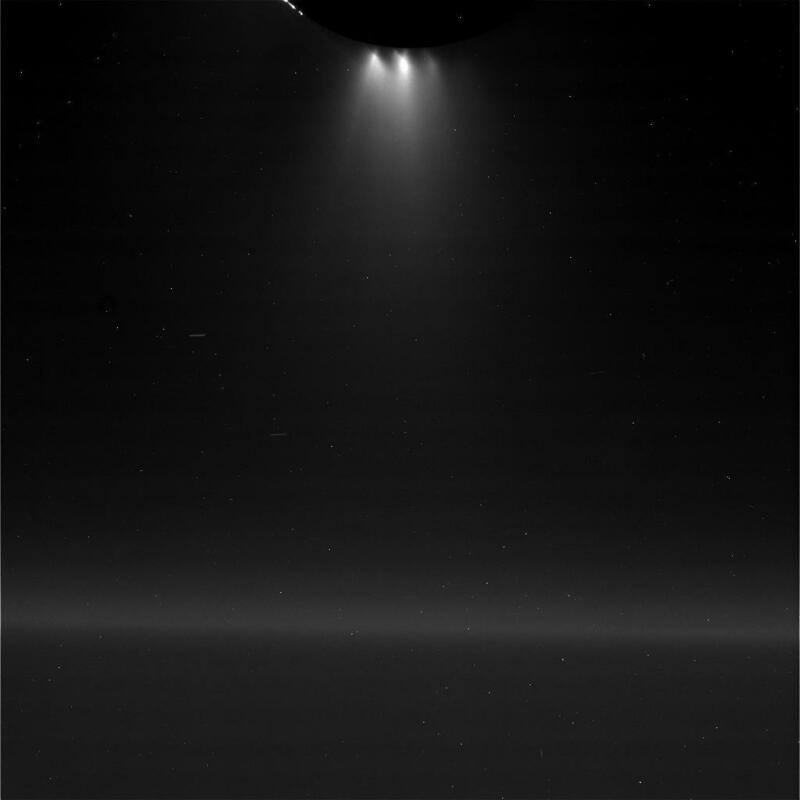 Oct 30, 2015: Heading for the South Pole - The south polar region of Saturn's active, icy moon Enceladus awaits NASA's Cassini spacecraft in this view, acquired on approach to the mission's deepest-ever dive through the moon's plume of icy spray. The wavy boundary of the moon's south polar region is visible at bottom, where it disappears into wintry darkness. 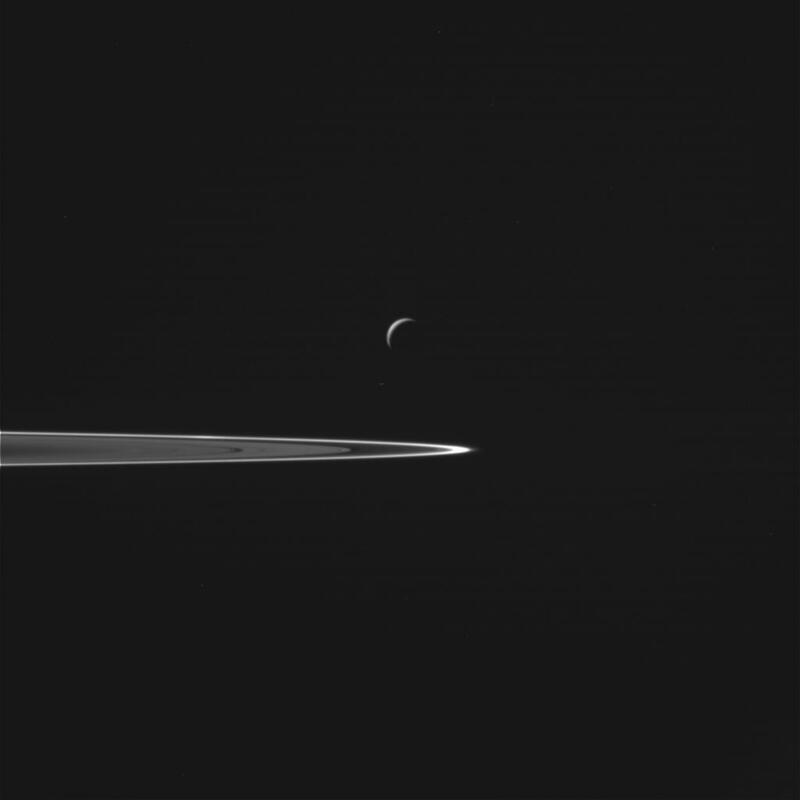 Oct 30, 2015: Approaching Enceladus - NASA's Cassini spacecraft captured this view as it neared icy Enceladus for its closest-ever dive past the moon's active south polar region. 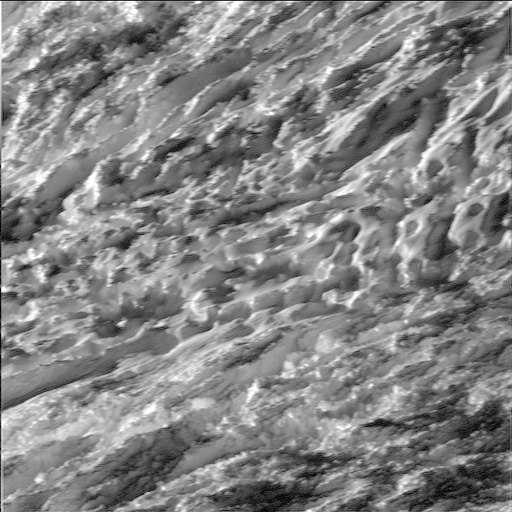 The view shows heavily cratered northern latitudes at top, transitioning to fractured, wrinkled terrain in the middle and southern latitudes. The wavy boundary of the moon's active south polar region -- Cassini's destination for this flyby -- is visible at bottom, where it disappears into wintry darkness. 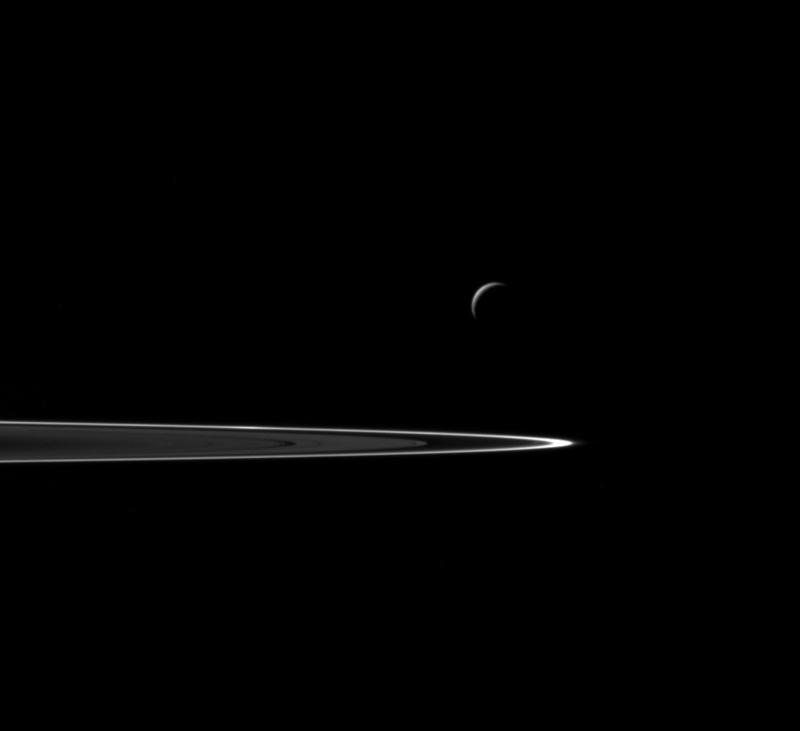 Oct 30, 2015: Departing Enceladus - Following a successful close flyby of Enceladus, NASA's Cassini spacecraft captured this artful composition of the icy moon with Saturn's rings beyond. 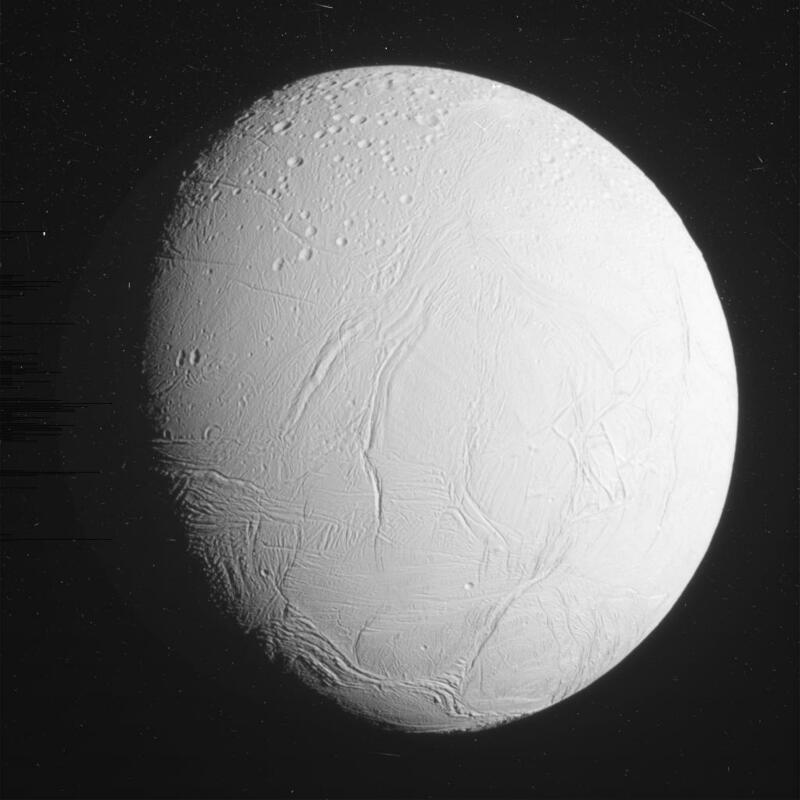 Oct 30, 2015: Enceladus 'Rev 224' Raw Preview #1 - This raw, unprocessed image of Enceladus was taken on October 28, 2015 and received on Earth October 30, 2015. Oct 30, 2015: Enceladus 'Rev 224' Raw Preview #5 - This raw, unprocessed image of Enceladus was taken on October 28, 2015 and received on Earth October 30, 2015. Oct 30, 2015: Enceladus 'Rev 224' Raw Preview #4 - This raw, unprocessed image of Enceladus was taken on October 28, 2015 and received on Earth October 30, 2015. 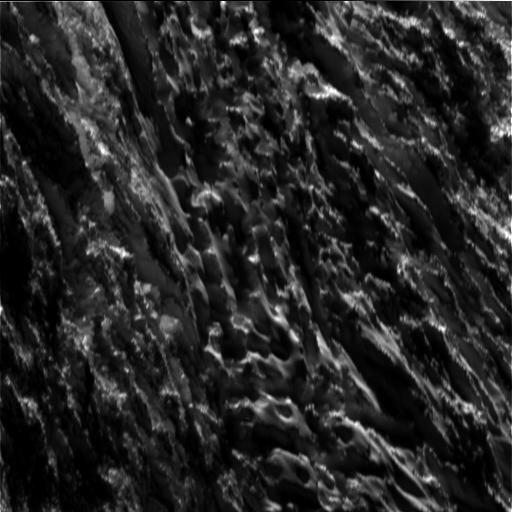 Oct 30, 2015: Enceladus 'Rev 224' Raw Preview #3 - This raw, unprocessed image of Enceladus was taken on October 28, 2015 and received on Earth October 29, 2015. 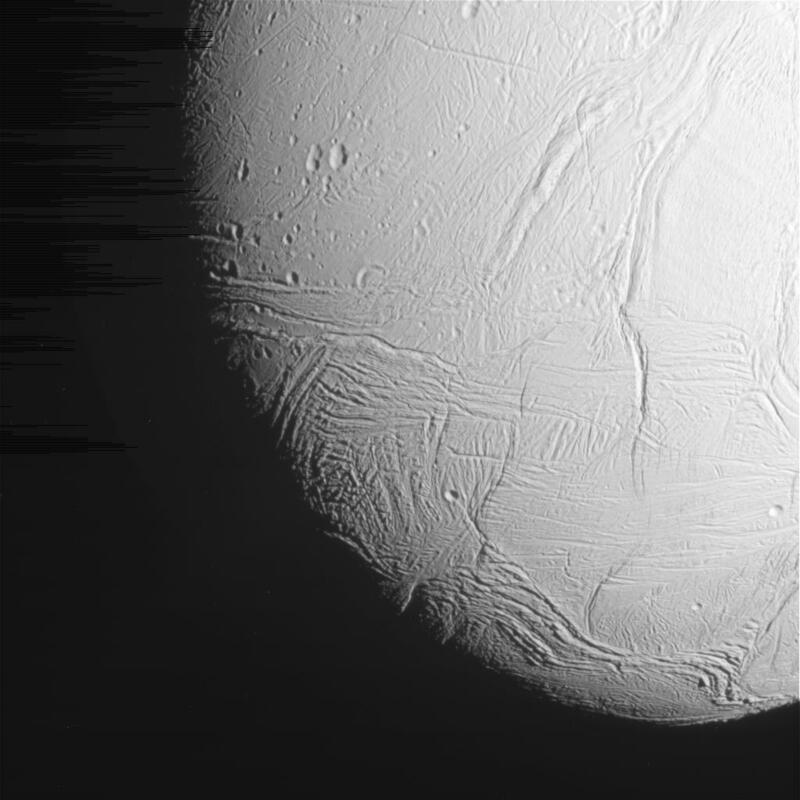 Oct 30, 2015: Enceladus 'Rev 224' Raw Preview #2 - This raw, unprocessed image of Enceladus was taken on October 28, 2015 and received on Earth October 30, 2015.